Recorder Classes are available for children from P.3 and above. They are a natural progression for young children already enrolled in any Junior Music Scheme of the College. But also may be entered directly. Recorder classes provide an excellent foundation to musical learning and the children respond well to the friendly but thorough initiation into the disciplines required in learning an instrument. Musical notation is gradually introduced right from the beginning. Classes are small and the work is carefully tailored to the child’s individual needs, allowing ample time for basic concepts to really settle. Good habits of correct hand positioning, tone production, articulation and intonation are nurtured from the earliest lessons. Learning to perform and share their music with others is regarded as an essential part of the learning experience and students are guided towards performance opportunities which are appropriate for their stage of development. 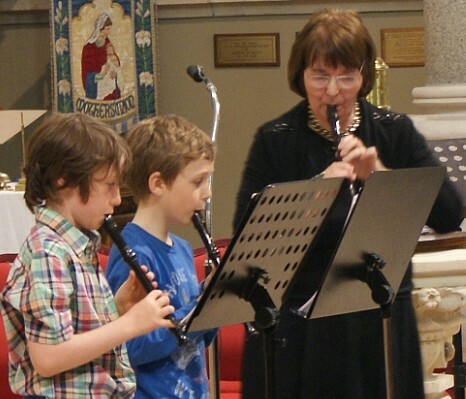 Older children who show an aptitude and interest in continuing their recorder playing are warmly encouraged and there is a rich and varied choice of repertoire to develop technique and ensemble skills. Students who wish to transfer to another instrument are similarly supported in their choice.